Ranger GEL PRINTING PLATE 9 x 11 jep59455 at Simon Says STAMP! jep59455 This item is on reserve until If you would like to reserve this item now, you may purchase it now with the rest of your order. We will hold your order now and ship your entire order as soon as this item is back into stock. If you would like your order to ship now, please place this item on a separate order. Success, Ranger GEL PRINTING PLATE 9 x 11 jep59455 has been shared! 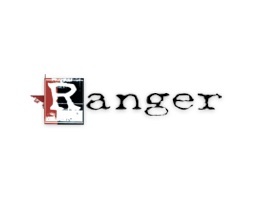 Ranger, Dyan Reaveley, and Dina Wakley have teamed up with Gel Press® to bring you gel printing plates. Create masterpieces and stunning prints for use in your mixed media, art journaling, home décor, paper crafting and more! This gel printing plate measures approximately 9 x 11 inches. Plates are reusable and easy to use and clean. Made in the USA, non-toxic, latex-free.